Formula One's latest concept to aid in driver head protection, the "Shield," was seen publicly for the first time today. 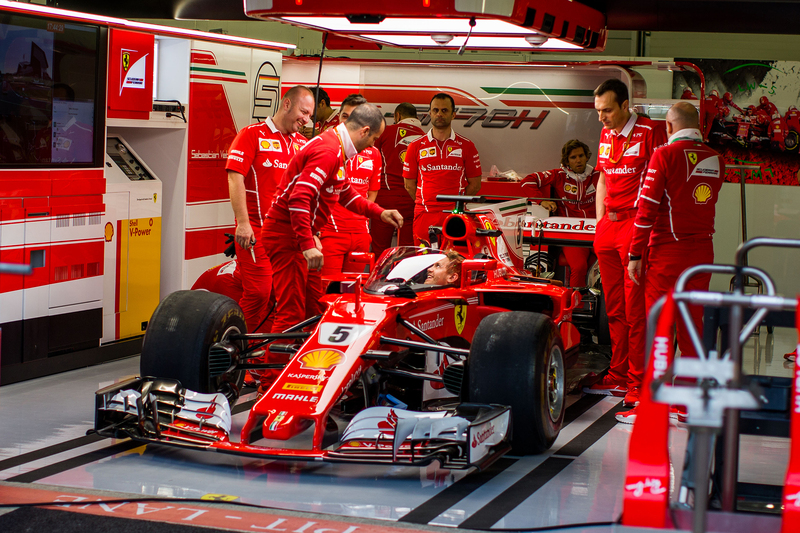 The Shield was mounted on to Sebastian Vettel's Ferrari in the garage. It's expected that the Shield will get a little on-track test on Friday in Free Practice One. The Sheild is being run ahead well ahead of its first official on-track test, which is expected to be a Monza. Before going forward with any more development, F1 wanted to get some real-world driver feedback to help refine the concept for Monza. The clear polycarbonate windshield is a welcome departure from the Halo and Aeroscreen concepts that have been previously tested. The render of the Shield that the FIA recently released looks a little more sleek than the first real-world test version seen on the Ferrari today. The working prototype will likely see some changes before it gets run again at Monza. This seems to be more of a "proof of concept" for things like visibility, exiting the cockpit, and how it affects the aerodynamics of the car. When putting a curved piece of clear plastic in the sight line of a driver whose car will be racing others at speeds that sometimes surpass 200 miles per hour, there are many factors that need to be accounted for. 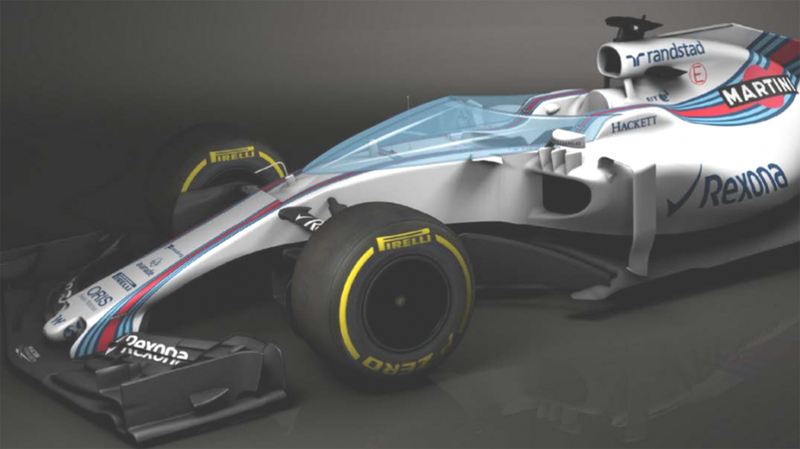 The longer version from the render may have less of an aero effect on the car, but the design may cause more visual distortions for the driver. The steeper and flatter the piece of polycarbonate is will exponentially increase the number of upset aero engineers the team has in the garage. How much oil and dirt will build up on it and how to clean it during the race will also of concern. Most importantly might be if the driver can still exit the car quickly in an emergency. The Shield will see a little bit of track time on Friday and at that time, the world will get a much better look at it. On the surface, its design and functionality seem far superior to the previous two ideas, both of which were universally disliked by drivers and fans. 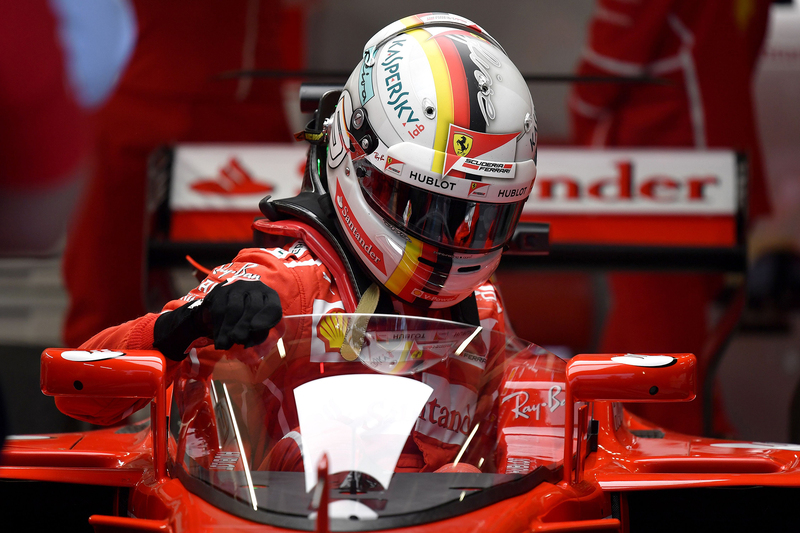 Cockpit protection is coming to Formula One. Hopefully, the Shield works out, otherwise, we may get stuck with the face-thong Halo for the 2018 season.